It's that time of year again in old London town, when you have to go get a pedicure and reveal your legs to the world! It's lovely at the weekend, as you can wear all the stuff I've blogged about - but what the f*ck do you wear to work? It isn't that warm, but it's baking on the tube. You can't wear your jumpers unless you want to look like a moron, and don't wear short sleeve shirts to replace your long sleeve ones unless you want to hear the sirens of a fashion police car. I'm quite lucky as I work in media so officewear is more relaxed than others. Previous to that I worked in the City and lived in TM Lewin. One of the highlights of getting my current job was ceremonially burning my suits. So for those still in that world I really apologise, but I've tried to mix as much stuff for you as I can. 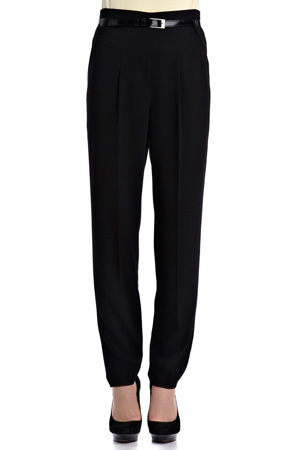 Starting with this little piece from the team at Mango - On first glance, this might appear to be a just another LBD. But the full skirt, belted waist and slashed neckline make it so much more. Perfect for work to play shenanigans. Little Miss Selfridge is getting better and better every year. For those of you who don't know it (ie: people visiting London) their clothes are designed by the same people who design for Topshop but for a slightly cheaper price point. Their stuff used to be a little bit off, but for the last 2 years they've had some excellent bits and pieces. Wouldn't recommend spending over £50 in there on one thing, but aside from that - they're amazing. 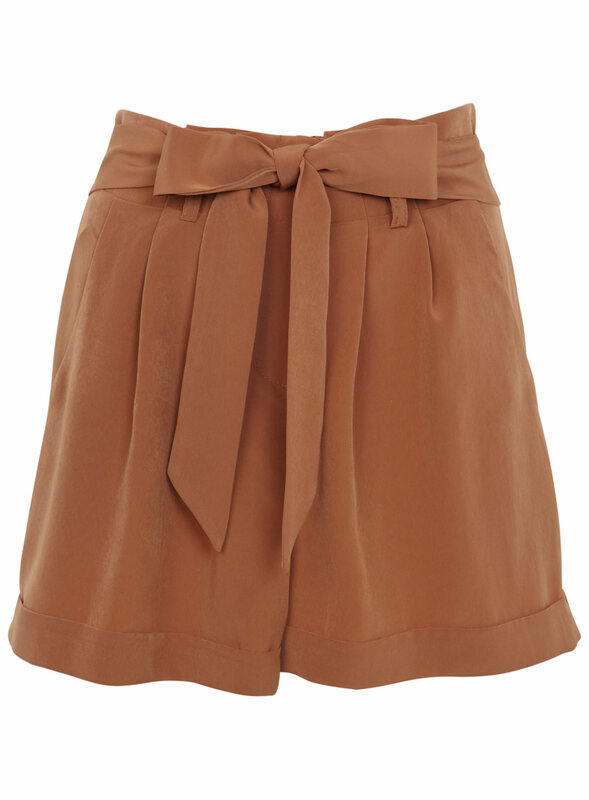 These shorts would look great with a black tee or shirt and have a lovely friendly take on formal. 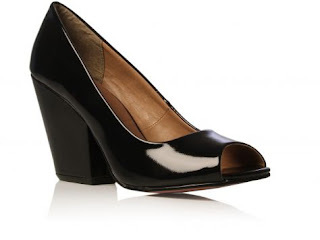 Next up are these great heels from Kurt Geiger. Kurt does quite like to be expensive, but his KG range is way more reasonable. Love the fact that these shoes have the wedge = therefore walkable. At £80, they're cheap enough for a mid month purchase, and expensive enough to expect them to last, which they will. If you are in an office which allows you to ditch the darks, then the above outfit by Marie Claire is brilliant. Shoes by Aldo, dress by Warehouse and jacket by Topshop. Warehouse is another one that ever so often comes up trumps and makes some excellent work to play pieces. Always worth having a look in there. 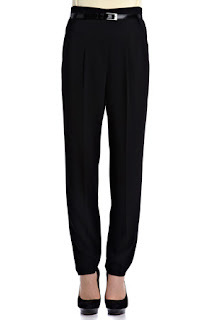 For the more classic of you (or most tied into wearing suits), peg leg trousers are a great way to stay in trend without your boss' eyes raising. Oasis do some lovely ones that really flatter. You can carry these over to winter too, which is an added bonus. These ones also come in lots of colours, so if you can wear navy or maroon then do. Never forget Gap for workwear, it really is great. People associate them too much with the jeans and laid back clothing - their office stuff is great. This dress comes in a billion colours too. Finally, ignore the chav in the dress - this £40 work piece is fabulous. It has the structured arms that we'll see a lot more of this year. Pop to Dorothy Perkins and buy it. But, remember not to fret about investing in some good quality office wear - you wear work clothes more than any other section of your wardrobe, depressingly. Interesting blog. Good wadrope advice. I love the Dorothy Perkins dress at the end. I think their collection is just getting better and better. No Dorothy Perkins in the US so it's top of my list to visit when I return to London in July.